Glen Phillips the singer is a cynic by nature. "A realist," is how he justifies the quality. Give him enough subjects and he'll live up to the title, laughing at himself in the process. He even has a saying: "I have the ability to cast anything in a negative light." On Kauai: 8 p.m. Sept. 8, Kauai Community College Performing Arts Center. Tickets are $20, available at the door. Information: hulatickets.com. He does try to have positive outlook: "I have a lot of faith in people as individuals," he insisted by phone while driving through California, before he started delving into politics, his optimism sliding away as he talked about the future of society. But Glen Phillips the family man is another thing -- his demeanor lightens up dramatically when he talks about the wife and kids. He and his wife of 13 years, Laurel, leave in September to take their three daughters -- 10, 9, and 5 -- on a European tour of nearly a year. They'll homeschool the girls and stay in the homes of friends and at places they've found through such sources as Craig's List. "We're staying one night in a hotel in London, and that's it," Phillips said. "This is a chance to cherish old friends and make new friends." The family has been saving for the trip for a year. Their house in Santa Barbara has been rented out, favorite possessions put in storage, other items sold in a giant garage sale. Life is good; it's about 15 minutes into the conversation that he mentions the elephant in the room -- his former band Toad the Wet Sprocket, the folksy/alternative group he headed in the '80s and '90s. Fifteen years later, the wry pop/rock singer can't escape the appeal that singles such as "Walk on the Ocean" and "All I Want" still hold for Wet Sprocket fans, as well as for fans of Phillips, the solo singer. But it's something he accepts with pride. "All I Want" -- with its catchy choruses and swirling, guitar-driven sound -- was just one of the hits of 1992, the year of Nirvana's "Smells Like Teen Spirit," Sir Mixx-A-Lot's "Baby Got Back" and Billy Ray Cyrus' "Achy Breaky Heart." While Toad the Wet Sprocket's CD "Fear" stalled in the No. 49 spot on Billboard's Top 200 Albums in 1992, the Top 20 hit "All I Want" helped push Cyrus and his mullet off the charts that fall. These days, though, Phillips is making independent music, having parted ways with major labels over creative differences and changing booking agencies in the process. The trip to Europe was supposed to mark the start of Phillips' solo career overseas, and the promotion of his latest release, "Mr. Lemons," an album of quiet, acoustic guitar that he released on his own. He plans to record his fifth solo CD in Europe, but if it comes down to it, Phillips will record most of the songs on his laptop, and "send it home. The recording budget has been blown. (But) the kids are still at an age when they think this trip is cool. In a few years, they might have hated it." He is looking for a place in London for Oct. 2 to 11. "If anyone has a place, let me know, and we'll check it out." But first he will play two shows in Hawaii. His main reason for mentioning Toad the Wet Sprocket? This week he plays with them in San Diego, the last show in a short tour with his former Sprocket-mates, guitarist Todd Nichols, drummer Randy Guss and bassist Dean Dinning. The group has been playing together since May, after Nichols sent Phillips an e-mail query. Their schedule was divided into three tangled lists: shows as Toad the Wet Sprocket featuring Phillips, the Toad the Wet Sprocket/Big Head Todd tour featuring a solo set by Phillips, and Phillips' solo shows. "We haven't seen each other much in the last couple of years, but this has been the best it's ever been," Phillips said. "They were a big part of my life, but it's a little weird being in a rock band again when you've been solo. For the last eight years, it's been me and a car; it's good to go out with the band, and have a crew." 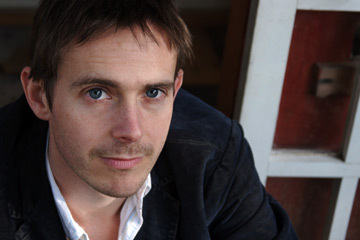 Individual projects and other bands such as Mutual Admiration Society have come and gone since Toad the Wet Sprocket dissolved in 1998 for "all the usual reasons." But this is still the band mentioned the most to Phillips. "A lot of people got into us as we were breaking up," Phillips said. "Nothing to mess you up like success. We got used to treating each other horribly." Phillips' lauded solo career picked up immediately following the summer tour with his old bandmates: Besides the solo shows in Hawaii and his recording plans, there's a tentative group project with Neilson Hubbard, producer of "Mr. Lemons," and Garrison Starr, who sang on the CD. "I was really proud of 'Mr. Lemons.' It's all about the voice and the guitar. The last album had a lot of bells and whistles, but this is a better-sounding album." Other tours with Toad the Wet Sprocket are possible, too. As Phillips said of all his projects, "It's not so much about the job, but the vibe."